Since starting at Elmore Park Middle School almost six years ago, Sarah Hubbard has used her considerable talents to pour into hundreds of students at the school. 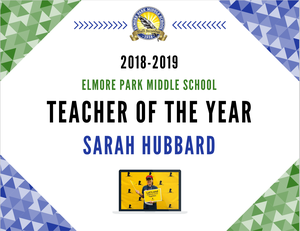 From teaching Social Studies and Science to revolutionizing the school library during her two years of being librarian, Ms. Hubbard continues to impact the students and staff at Elmore Park. She has turned the library into the heart of the school, finding ways to include all students, especially those who are typically marginalized. 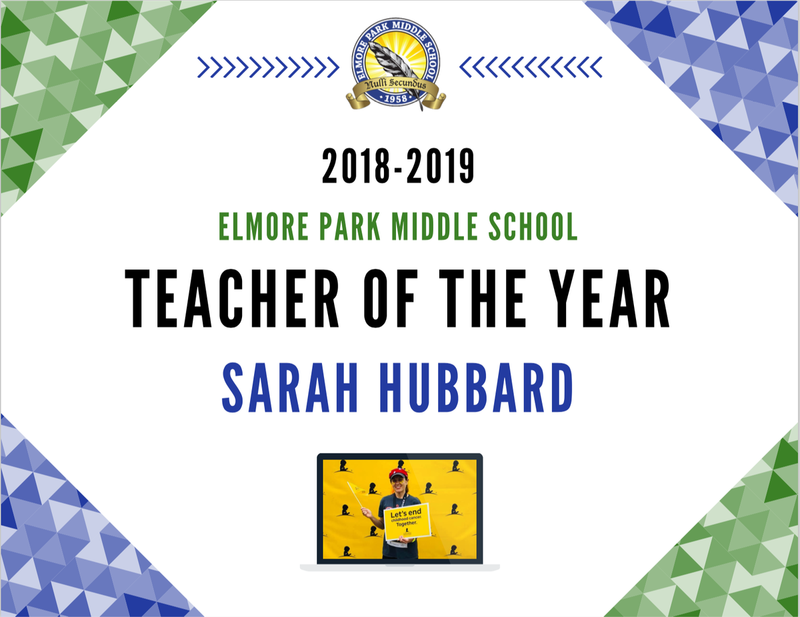 Not only can her impact be felt in the library, Ms. Hubbard was instrumental in starting the school’s tech group, Genius Bar, organizing the Quidditch Club, and leading the way with our student news broadcast, Eagle News Network. Sarah is someone who is never satisfied with “enough.” She consistently collaborates and encourages other teachers and is always working toward excellence, no matter what the project. Elmore Park wouldn’t be the same without her!